Clicking on images provides larger ones. X-Men 3: The Last Stand. Receive 5% OFF 2 or more X-Men t-shirts or posters. More news yet to come!!! The Continuum today continues its series on the actors of X-Men: The Last Stand with a question-and-answer session with Shawn Ashmore, who returns as Bobby Drake/Iceman. For covers and five-page previews of DC Comics titles arriving in stores on May 31, CLICK HERE. Titles include Ion #2, Crisis Aftermath: The Spectre #1, Batman: Legends of the Dark Knight #206, Lucifer #74, Warlord #4, Wraithborn #6 and ABC: A-Z -- Top 10 and Teams. Look for more First Looks on Thursday here in The Continuum. For covers and six-page previews of Marvel Comics titles arriving in stores on June 14, CLICK HERE. 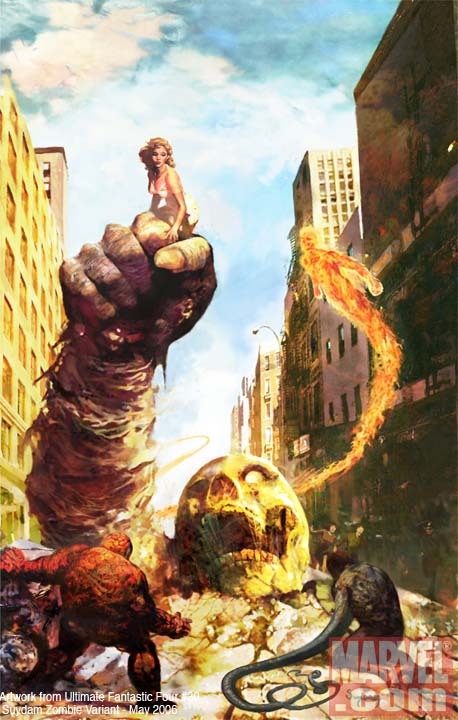 Titles include Books of Doom #6, Daughters of the Dragon #5, Incredible Hulk #95, Iron Man: The Inevitable #6, Runaways #16, Son of M #6, Storm #4, The Thing #7, Amazing Spider-Man #532 and Ultimate Fantastic Four #30. For covers and five-page previews of upcoming Image Comics titles, CLICK HERE. 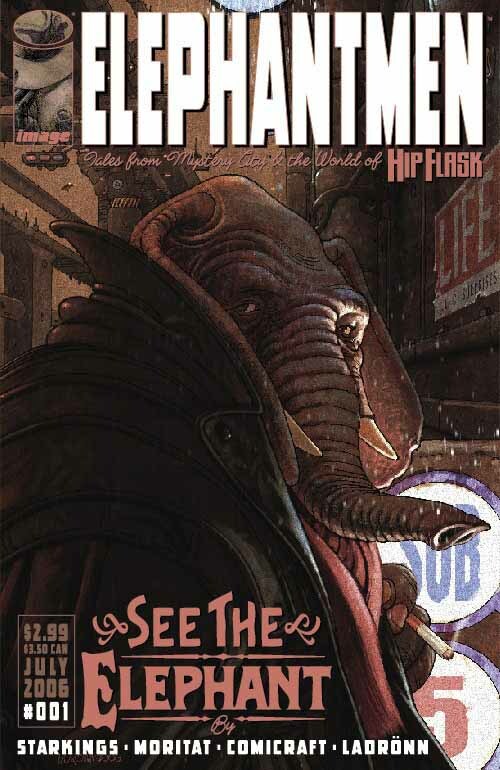 Titles include Age of Bronze #23, Deadworld #4, Sea of Red #10 and Elephantmen #1. Look for more First Looks on Thursday in The Continuum. A day after the Ghost Rider movie trailer debuted online, Marvel Comics on Wednesday unveiled Marc Silvestri's variant cover to Ghost Rider #1. The cover will be available in a finished version and a sketch version. The series, which launches on July 12, is written by Daniel Way, with art by Mark Texeira and Javier Saltares. "Once upon a time, Johnny Blaze made a deal with the Devil...and to no one's surprise but his own, he got shafted. Now trapped in hell, with the Spirit of Vengeance bonded to his immortal soul and weighing him down, Johnny may have finally found a way out. But at what cost? From the depths of Hell to the glittering spires of Heaven, the Ghost Rider rides again in his first ongoing series in nearly a decade, blazing new trails and dispensing fiery vengeance in his wake. The demonic team of Daniel Way, Mark Texeira and Javier Saltares reunite to put ol' Flamehead back in the saddle where he belongs." Click on the thumbnails above for both of Silvestri's variants and Saltares' cover, along with page samples. 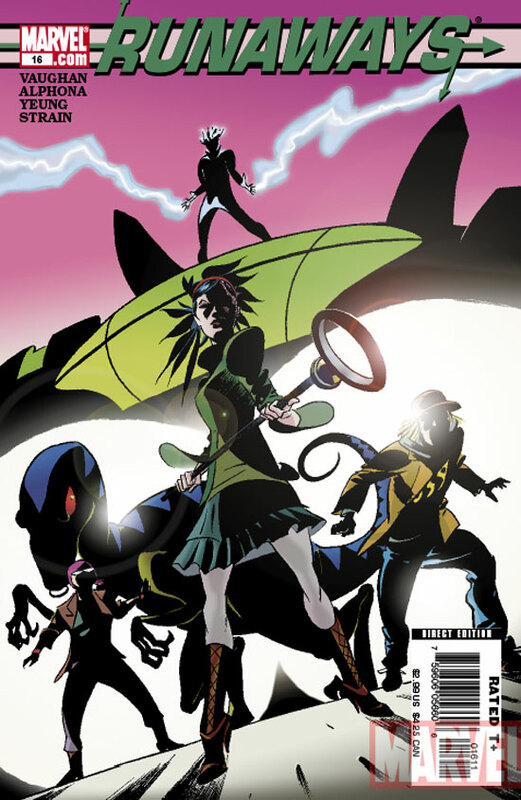 Komikwerks has provided The Continuum with its Actionopolis solicitations for August. For previously posted August solicitations, click on the appropriate publisher name below. * Dynamite Entertainment has provided The Continuum with a first look at the third cover to Red Sonja #12, by John Romita Jr. (pencils) and John Romita Sr. (inks). The cover is an homage to Uncanny X-Men #190, which was by Romita Jr. and featured Kulan Gath, the villain who returns in Red Sonja #12. The other covers for the issue will be by George Perez and Jim Lee. * According to Image Comics, Godland will take a three-month break after #12 and resume with #13 in October. * Wednesday, May 17: Image Comics for August, Aspen Comics for August, Marvel Comics First Looks, DC Comics First Looks and Smallville. 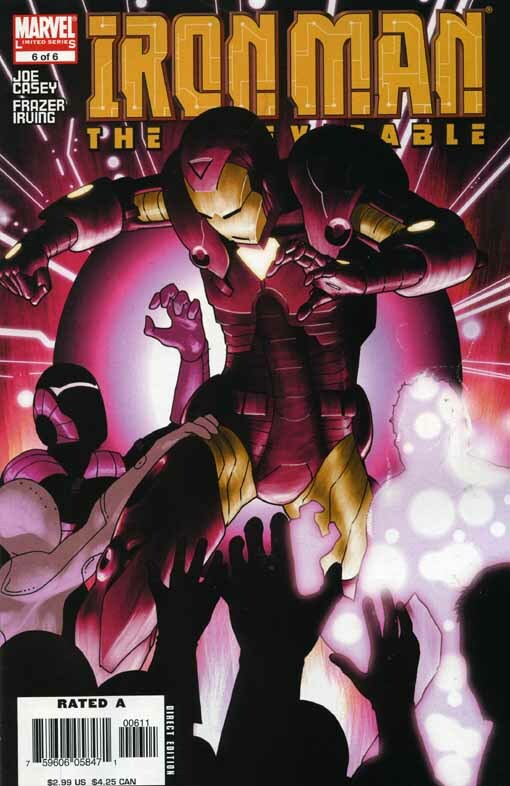 * Tuesday, May 16: Marvel Comics for August, Marvel Comics First Looks, X-Men: The Last Stand, Highlander comic book and Vertigo trade paperbacks. * Monday, May 15: X-Men: The Last Stand's Halle Berry, DC Comics for August, NBC's Heroes, Snakewoman artist, Archie Comics for August and Dragon's Lair. * Sunday, May 14: X-Men: The Last Stand's James Marsden, Superman Returns writers and First Looks. * Saturday, May 13: X-Men: The Last Stand's Dania Ramirez, V for Vendetta on DVD, Heroic Publishing for August and First Looks. * Friday, May 12: X-Men: The Last Stand's Hugh Jackman, Legion of Super Heroes animated, DC Comics trade paperbacks, Halo Graphic Novel, Battlestar Galactica and IDW First Looks. * Thursday, May 11: X-Men: The Last Stand, Justice League Unlimited, Superman Returns' Gilbert Adler, Boom! Studios for August and Moonstone Books for September. * Wednesday, May 10: Marvel First Looks, DC First Looks and Superman Returns. * Tuesday, May 9: Moon Knight's Charlie Huston, X-Men: The Last Stand, Superman Returns' Chris Lee and Marvel Comics First Looks. * Monday, May 8: Superman Returns' Parker Posey, Who Wants to Be a Super Hero?, X-Men: The Last Stand, First Looks and DC Comics second printings. * Sunday, May 7: Superman Returns' Kate Bosworth, X-Men: The Last Stand, X-Men animated and First Looks. * Saturday, May 6: Dark Horse Comics for August, X-Men: The Last Stand and Superman Returns' Kal Penn. * Friday, May 5: Superman Returns' Brandon Routh, Ron Garney exclusive to Marvel, The Simpsons, Justice League video game, Devil's Due First Looks and Smallville. * Thursday, May 4: Ultimate Fantastic Four, Justice League Unlimited, X-Men: The Last Stand, Lords of Avalon to DB Pro and Image First Looks. 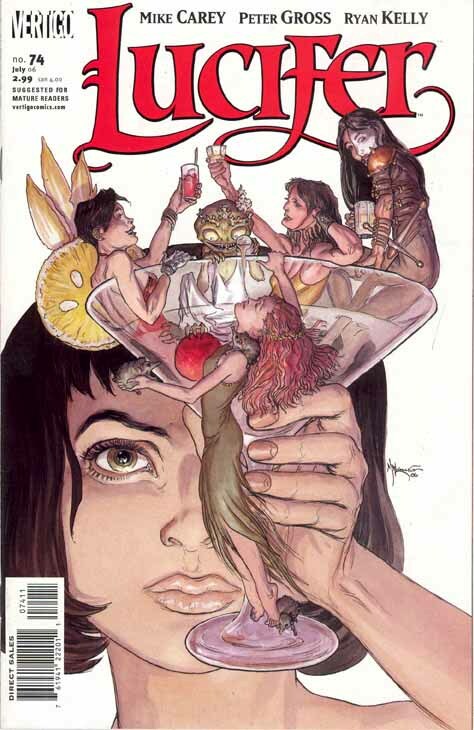 * Wednesday, May 3: Marvel First Looks, DC First Looks, Image First Loos and 100 Bullets video game. * Tuesday, May 2: Justice League DVD, Marvel First Looks, DB Pro's The Highwayman, Sin City Marv bust and DC Comics' second printings. * Monday, May 1: IDW Publishing for August, X-Men: The Last Stand, Marvel First Looks and Dark Horse First Looks. * Sunday, April 30: X-Men: The Last Stand, Teen Titans, Alias Comics' The Vindicators and Image First Looks. * Saturday, April 29: X-Men: The Last Stand, Spider-Man 3 in Cleveland, Krypto the Superdog and First Looks. * Friday, April 28: X-Men: The Last Stand, Iron Man movie, Smallville, The Simpsons, Family Guy, Wolverine and Claypool Comics for August. * Thursday, April 27: Spider-Man on Cartoon Network, Activision's Marvel Alliance, Ed Brubaker extends exclusive and First Looks. * Wednesday, April 26: Spider-Man 3 in Cleveland, Marvel First Looks, DC First Looks, Image First Looks, Wolverine: Origins and Smallville. * Tuesday, April 25: The Batman and Legion of Super Heroes on Kids' WB!, Spider-Man 3 in Cleveland, Marvel First Looks, DC First Looks, Infinite Crisis and Anita Blake.